WHAT’S SO GOOD ABOUT “GOOD WORKS”? So how should we approach our passage in view of its controversial history? Where do we start? 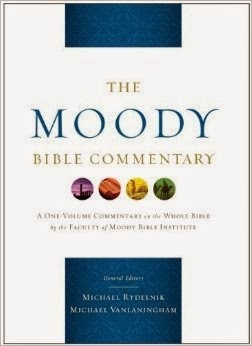 I want to encourage the reader to embrace the text as part of God’s inspired, inerrant Word. And in the end I want us to see that this text has great benefit for the well being of our souls. So let’s start with two familiar passages—Romans 3:23-24 and Ephesians 2:8-10. Both texts proclaim that a person is “declared righteous” by faith alone in the substitutionary work of Christ. Paul made it clear that “good works” were not a means of being justified before God. And yet James uses the phrase “justified by works” three times in chapter 2 (JS 2:21, 24, and 25). Is this a contradiction to what the Apostle Paul taught? The answer to this question can be found by looking at the author’s flow of thought and some key words that he uses throughout the paragraph. In verse 14 he asks, “What good is it, my brothers, if someone says he has faith but does not have works?” Did you notice that he does NOT say, “If someone has faith but no works”? No, he states, “If someone…SAYS…he has faith.” There is a subtle difference. James is pointing out that simply professing faith has serious shortcomings. Then you will want to notice verse 18, where the writer says, “Show me your faith without works, and I will show you faith from my works.” The key phrase here is “show me.” James is asking for a demonstration that what is professed has genuine substance to it. The final word to analyze is the word “justified” in verses 22, 24, and 25. The term communicates the idea of someone being declared by a judge as righteous and without condemnation. But within the context you will want to notice that James also says one’s faith is “perfected” by works. What does he mean? He is saying that the faith that justifies is now “fully disclosed,” not just with our words, but also with actions that back up those words. He is not changing the doctrine of justification by faith but clearly showing how the doctrine moves from words to demonstrable proof. What James is describing should not surprise us. We have to validate our identity all the time. For example, if you work for a large corporation, you probably have a security badge. It has your picture, your name, and other pertinent information recorded on the front. Just saying you work for the company won’t satisfy the security guard who meets you at the front gate. He wants to see the badge to validate you are a “genuine” employee. If you call the cable company, it’s not enough to tell the person on the other end of the line that you are a customer. You need to give them your account number and perhaps a password. They want proof that they are talking to a “valid” customer. And that is what James is doing in this passage. Yes, our salvation is always by grace through faith in the finished work of Christ. That is what Romans 3:23-24 and Ephesians 2:8-10 declare. But James is dealing with something different from what the Apostle Paul was talking about. He was talking about the “proof” of one’s faith. You see, WHILE GOD JUSTIFIES SINNERS BY FAITH, OUR FAITH IS ALWAYS VALIDATED THROUGH GOOD WORKS. That leads to another important question. Why is this principle so important, and what does it have to do with the care of our souls? Allow me to answer in a word: “EXAMINATION.” Several “reality” TV shows work off of a two-fold premise—(1) something is being bought or sold; (2) how does one know if it is genuine? What if a person says, “I have a Stradivarius and want to sell it?” There will be lots of potential buyers, but before anyone makes a purchase, they meticulously EXAMINE the product to see if it is real. And that is what this text is encouraging every believer to do—examine your faith to see if it is genuine. Where might we engage in the examination of our faith? I will suggest two important contexts where this text might be applied. The first one is with respect to your own spiritual condition. You might assume that you engage in all of the important activities a Christian is supposed to do—you go to church; you put money in the offering plate; and you help set up chairs for the annual congregational business meeting. You might assume that because you went forward at an evangelistic crusade that you are automatically in the Kingdom. But wait. Examine your soul by reading Isaiah 58:6-8. Are you a person who demonstrates tangible, active compassion toward people, or do you only engage in a kind of ritualistic Christianity? James 2:14-26 is designed to prompt you to EXAMINE your own soul. Take some time to do that right now! A second place of examination is more corporate in its application. We know from James 3:1 and 3:13-18 that there were people who wanted to be in positions of leadership in the local church. How would the church know if a person was qualified to lead others? Obviously this is not a license to engage in judgmental critiques of everyone in the congregation. But it is possible for leaders to ask, “Would this person be a good leader? Let’s take a look at his (her) works of righteousness done in the name of Christ and on behalf of others.” A person’s “works of faith” just might demonstrate that he/she might be a good leader. Imagine a husband walking out the door early one morning. He is obviously in a hurry. He has so much to do in the course of his upcoming day. As he leaves the house he does what he always does. He turns and says to his wife and kids, “Have a good day. I love you.” But his wife says, “Oh sure! You say that every morning. PROVE IT!” What would the proof be? Words are good, but in the validation of love, there needs to be ongoing proof that the words are true. And the same can be said of your faith. Therefore, you will want to keep this important truth in mind: WHILE GOD JUSTIFIES SINNERS BY FAITH, OUR FAITH IS ALWAYS VALIDATED THROUGH GOOD WORKS.